We will be open starting May 23! Call now for reservations 609-492-4154. 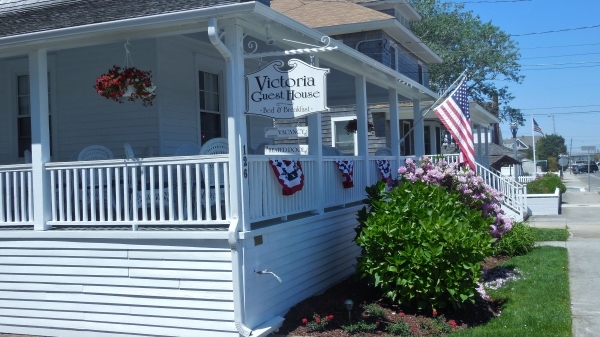 At the Victoria Guest House Bed and Breakfast, step back in time to the charm of the late nineteenth century. 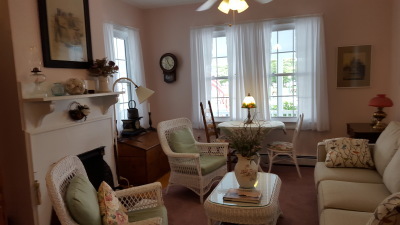 Our gracious New Jersey Shore bed and breakfast guest house offers B&B lodging with the warmth of a friendly, family atmosphere and the refreshing feeling of a "Home away from Home . " 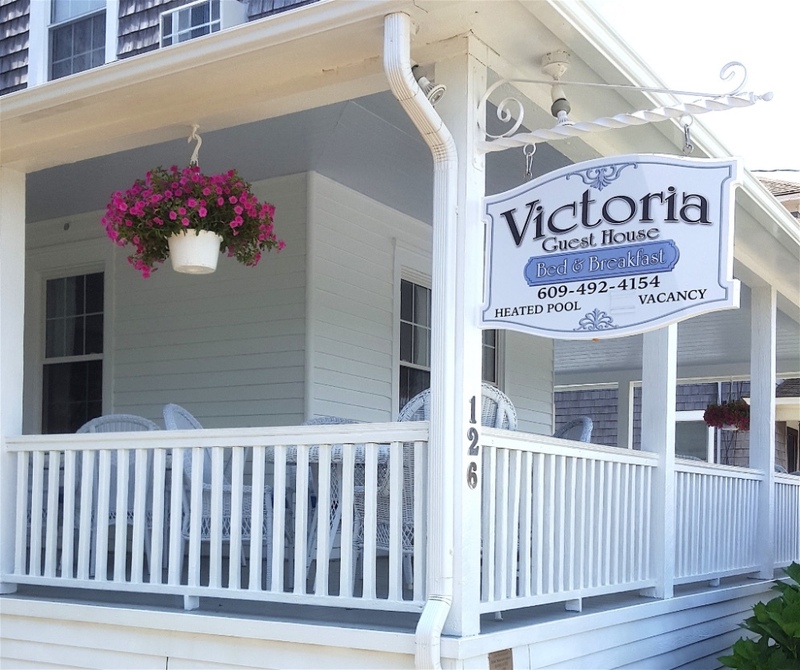 Just a block from the beach, the Victoria Guest House Bed and Breakfast offers the comfort of spacious guest rooms attractively decorated and all with cheerful exposure and comfortable appointments. Each room has an air conditioner, ceiling fan and private bath. The heated swimming pool is tucked away in the back making a private oasis with lots of cushioned loungers and table and chairs. Perfect for taking in the sun, reading a book or sneaking a quick snooze. Enjoy your breakfast while watching the world go by. Enjoy breakfast in the morning, make a late night cup of coffee, or crawl up on the window seat to read a book. Have a chat with new friends, play a card game, or watch a movie. Get together with other guests on our second floor porch for a drink, or curl up on the couch for a quiet place to read your book or catch up on emails. The Victoria is the main house of our B&B. This is where guests check in, and breakfast is offered buffet style 8:30 - 10:00 a.m. each morning. Guests can grab a cup of coffee or tea in the dining room, store something in the guests' refrigerator in the lobby, or find a DVD or book to enjoy or watch TV in our living room. Our spacious wrap-around porches covered with wicker furniture and a hammock create a soothing environment to enjoy your breakfast while overlooking Veteran's Bicentennial Park. Behind the house you will find the bicycles for your pleasure. The Victoria includes Rooms A, B, & D on the second floor and Rooms E, F, G, & H on the third floor. ​The Cottage is behind the gardens between the Victoria and Victoria Too. The two ground level, private entrance rooms each have a queen size bed and full bathroom. 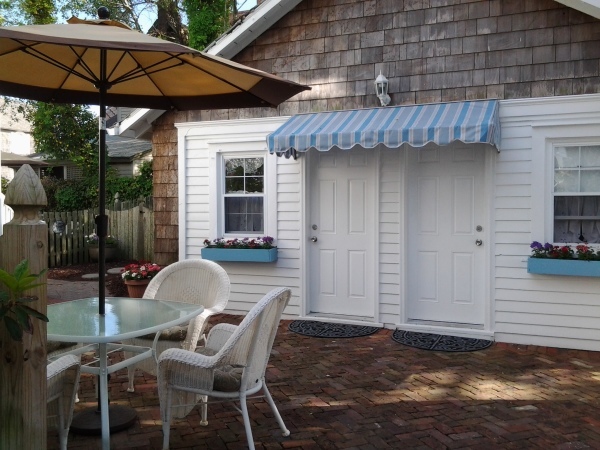 A brick patio with a table and chairs is right outside the doors. 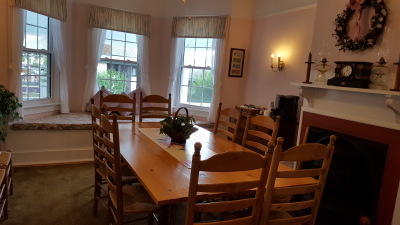 Although not totally handicapped accessible, the Cottage rooms are perfect for those with problems with stairs as there is only one step up into the room and one additional step up to access the bathroom. The outdoor private showers are to the right of The Cottage and the pool is to the left. The room on the left is the Oceanside and the one on the right is the Bayside. ​The Victoria Too is left of the main house of our B&B. This is where guests can gather in the lobby to grab a cup of coffee or tea, find a DVD or book to enjoy, store something in the guests' refrigerator, or just cozy up next to the electric fireplace on a cool evening. Out back is our oasis with the heated swimming pool, cushioned loungers, tables and chairs. 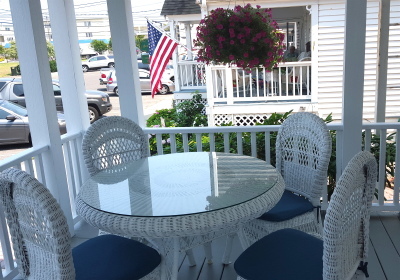 The beach chairs are on the side of the house, convenient to grab on the way to the beach. 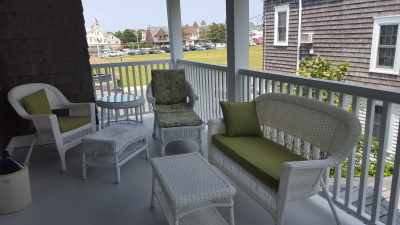 The wrap around porch has lots of wicker seating and space to read or just watch the world go by. The Victoria Too includes Room 9 on the first floor, Rooms 1, 2, 3, & 4 on the second floor and Rooms 5 & 6 on the third floor.